Jennifer Kibble has read 1 of 20 books. Jennifer Kibble read 55 books of her goal of 50! Jennifer Kibble read 41 books of her goal of 40! Jennifer Kibble read 34 books of her goal of 25! Jennifer is a geek at heart. She has used this love for video games, reading, the fantasy & science fiction world, and used it to help fuel her passion for writing. Her career as a writer turned serious after a trip to witness the final launch of the space shuttle Discovery. This set into motion the mind set to do what she loves. In her free time, Jennifer enjoys playing video games, reading, playing D&D, and listening to music. To ask Jennifer Kibble questions, please sign up. 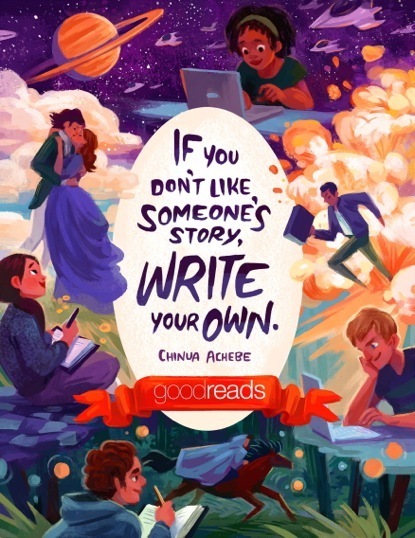 What motivated and inspired you to start writing? Jennifer Kibble I was in the fifth grade and my teacher told us to buy a composition book (which I still have) and each week we had to write a short story. I was…moreI was in the fifth grade and my teacher told us to buy a composition book (which I still have) and each week we had to write a short story. I was hooked. I would spend my downtime in class on a brown bean back writing in my composition book. Back then the characters were my friends and classmates. I didn't get back into writing until the eighth grade, which was two years later. I was moved up from 6th to 7th during the middle of the school year (this was due in part because my mother felt I wasn't ready and made me take two years of kindergarten). Anyway, the middle school that I went to (at the time) was a bit rowdy and the teachers had a hard time getting lessons across. I'm not sure what started it but I asked my english teacher if I could write stories for a grade and she said yes. In retrospect, I wish I had learned more while in middle school, but I was happy to be writing. I was given a word processor to do my work on (which I also still have, the writings, not the word processor). 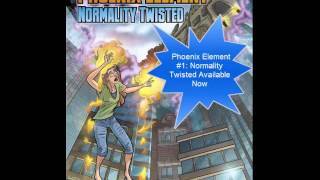 I created a series, which in turn helped me to create the Phoenix Element series. Writing back then was a way for me to escape my situation and gave me something constructive to do. I wrote a little bit in high school but I was too busy with the swim team, drama club, and other activities. Did did write often during the summer, when I wasn't at work. Fully out of high school and a few years later, I joined a message board. 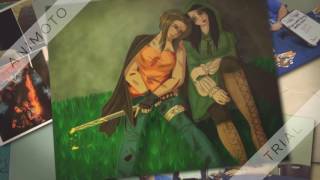 They had a roleplaying forum that I took part of, which also helped shape my current series. I was writing off and on but nothing serious. 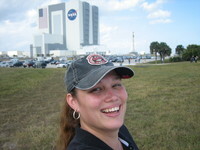 It wasn't until I was at Cape Canaveral for the final shuttle launch for Discovery. I was part of the NASA tweet-up, a group picked from Twitter to watch the launch at the countdown clock and to go to areas where the public doesn't normally go. I was standing in the Saturn V center when they were closed and it hit me...I should start writing again. At that point, I wanted to write for myself. I guess being around so much history and wonder, it kickstarted something in me. Where would you go to publish your books? It has been a long time, readers! I just wanted to share that my newest project: Phoenix Element Collection. This takes all three books of the series, and puts them in one nice anthology. There are bonus scenes, new dialogue, and polished up by an editor. We’d love your help. Let us know what’s wrong with this preview of Chicks Dig Gaming by Jennifer Brozek. We’d love your help. Let us know what’s wrong with this preview of Keys to Drawing by Bert Dodson.